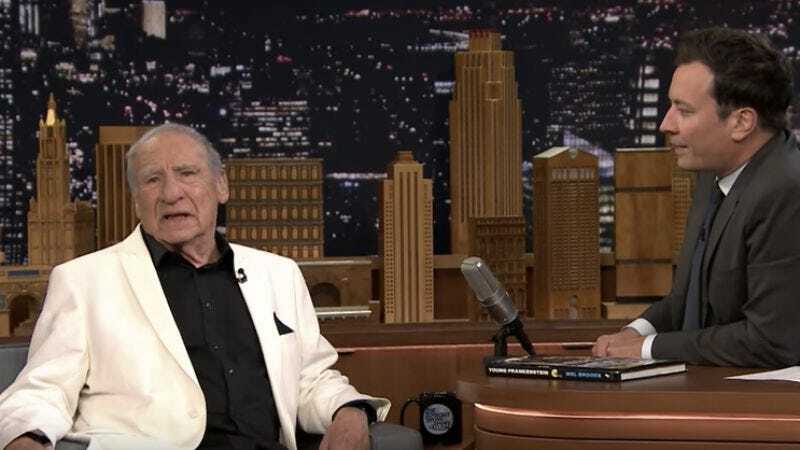 Get out your tissues, it’s story time with Mel Brooks. During a The Tonight Show appearance last night, comedy’s brilliant Jewish grandpa shared delightful anecdotes about his dear friend and collaborator Gene Wilder, who died earlier this week at the age of 83. “I expected he would go, but, I don’t know, when it happens it’s still tremendous, it’s a big shock,” he said. “I’m still reeling from no more Gene. I can’t call him. He was such a wonderful part of my life.” No, you’re weeping. Brooks then described how he met Wilder when Wilder was performing in a production of Mother Courage with Brooks’ late wife Anne Bancroft. He went on to explain how Wilder “burst into tears” after being told that The Producers was going to happen, discussed the casting process for Young Frankenstein, and, of course, did a random Hitler impression. Really, did you expect anything less?